Sunny and mild today with highs in the lower 70s. Chillier temps tonight expected to be in the upper 40s. A quiet and cool way to start the work week. Temperatures will start off on the cooler side, starting in the upper 40s, so grab the jacket as you head out this morning. 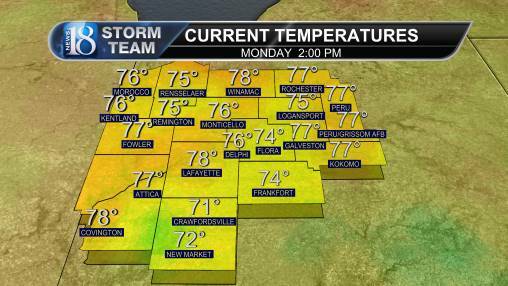 Temps will slowly warm up for today with highs around the normal mark in the lower 70s. 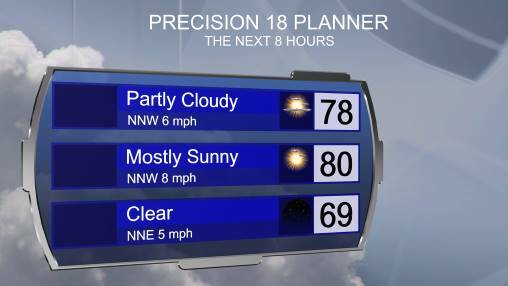 You'll want the sunglasses with the abundant amount of sunshine we will be having today! Mostly clear and quiet overnight as lows fall into the mid to upper 40s. Nice weather continues into Election Tuesday with more sunshine and highs a little warmer in the mid-70s. Wednesday is when things (weather) get interesting! Humidity will rise, along with temps and showers/thunderstorms. A front that's now developing out west will slide through bringing the chance of showers and storms! Some of which could be severe. Right now western parts of the state are under a marginal risk of seeing isolated storms become severe. Highs by mid week will top out in the middle to upper 70s. Plenty of activities going on in your 7-day planner, so stay tuned for updates on this forecast through the week.